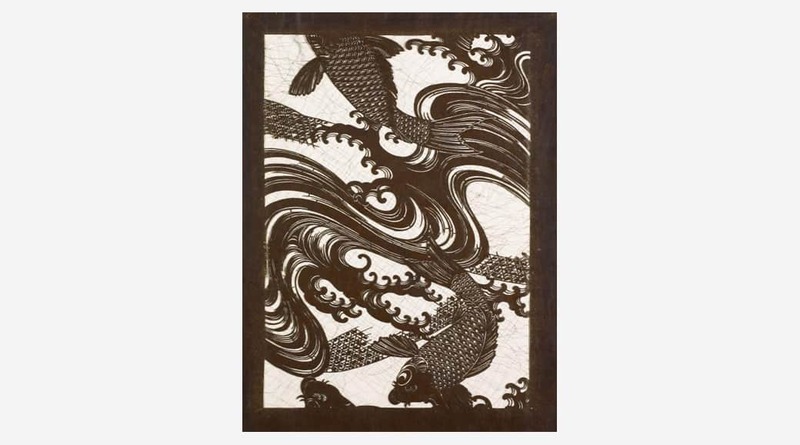 The Japanese have printed fabric for centuries using katagami, hand carved mulberry paper stencils. These stencils’ intricate designs and bold style amazed the European and American artists who encountered katagami at the turn of the century. Many became collectors and drew inspiration from these stencils—including architect Frank Lloyd Wright, whose library from the Little House is on view at the Museum. This selection of katagami from the collection highlights their appealing designs and cross-cultural history. There will be four rotations of katagami; the first will be on view April 8–August 5, 2018. Katagami: The Japanese Stencil is supported through the generosity of the Harry C. Trexler Trust, Julius and Katheryn Hommer Foundation, The Century Fund, Bernard and Audrey Berman Foundation, Leon C. and June W. Holt Endowment, Martin Guitar Charitable Foundation, Pennsylvania Council on the Arts, National Endowment for the Arts, and the Friends of the Museum.